WARNING : THIS MODULE IS NOT AVAILABLE FOR SELL ANYMORE, IT IS REPLACE BY MERLIN BACKOFFICE ®, WITH A MODERN AND MORE EASY TO USE USER INTERFACE. Includes mass updates, management and import tools (drop-shipping). What's for ? PrestaPricing is not a free module, but provides the features of 100 modules for the cost of 1. 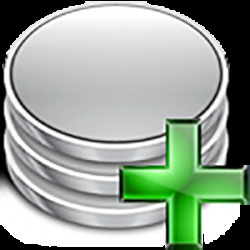 PrestaPricing is a standalone Windows application, to create and bulk manage your products and variants. It is also a products and categories csv/Excel import tool. Totally secured, it connects directly to your Prestashop products database for real time editing. Its intends is to replace the catalog backoffice, to work 100 time faster on all daily or periodic database maintenance. With a very friendly and powerful user interface, it allows you to very quickly bulk edit the prices, weights, references, SEO fields and most of the other parameters of your products and their combinations (more than 200 selectable columns). It has never been so easy and and quick to maintain hundreds or thousands of products and attributes combinations. You can for example activate all (or a selection of) products at once, or increase the prices of all products of any number of categories by x% with one click. But it is not just about prices or quantities. It is also a bulk texts editor (have a look at the MagicEdit video below), to modify your products' names or description or fill in the SEO fields on hundred of products, in mulitple languages, in minutes..
Importation (to create or update) of items from an external file (csv, xls, xlsx,... listings). Support of the advanced stock management mode (stocks in warehouses). Create, duplicate or complete and mass edit attributes and products variants with PrestaPricing's multi-products and incremental combinations generator. In previous versions, you could already create attributes groups and values (even duplicates values from groups to groups) and bulk associate them to combinations. From version 6, it includes a very powerfull and flexible combinations generator. Powerfull because very fast and not limited in number of variants, it can also create combinations in multiples products at once. Flexible because it does not require (as does PrestaShop) to delete all existing combinations when you have to add new attributes. It can update, duplicate, replace existing variants and add missing ones on top (without creating duplicates). Warning : To activate this generator in PrestaPricing, you must install in your Prestashop, our other module called "Generate and clone combinations"
Bulk link of products to accessories or accessoires to products or even categories to categories. Have you ever dream of associating a selection of accessoires to many products in one click ? Or to duplicate the list of accessoires of a product into others products ? Or to automatically associate to new products, the accessoires of old products ? Stop dreaming, just do it with PrestaPricing's accessories bulk edit tools. 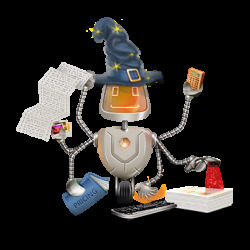 Includes MagicEdit technology for mass edit of texts, directly in the database. Search replace text for hundred of products in one clic. Insert common text, link, images at the beginning or the end of existing content (like in the description). Combine (or copy) data accross fields (like copying the product reference into the supplier reference). Generate series of bar codes (UPC or EAN13) accross your entire database or selection of products or combinations. Generate product references or supplier references series (auto increment). Full support of multiple languages sites. Display and mass edit product names, SEO fields, descriptions and all text fields in mulitple languages. Create, clone and associate features (and shared and custom features values) to hundred of products in one shot. Filter items on features. It has also never been so easy and efficient to create, duplicate, massively associate product's features (characteristics) to collections of products. This video is demonstrating the usage of PrestaPricing V4.1 module to create and edit product features in Prestashop. It explains in particular how to duplicate the caracteristics of a product to a set of products or categories. Bulk creation and fast edition of quantity discounts and specific prices. 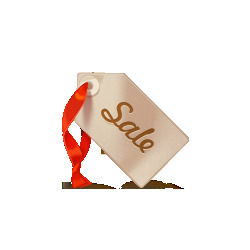 Set up all promotions and activate the on sales logo in a minute. Offers the capability to fully manage the discounts, specific and volume pricesand stock. It will make massive prices management a snap, particularly during "on sale" periods. Beside other things, it includes a very powerful and customizable catalog printing and exporting engine. You can copy paste a data from one cell to an entire column or selections of cells (with immediate update of the database). You see immediately the final retail prices with and without taxes (in any country / state). Full support of the multishops mode. The new 1.5 Prestashop version and its multi shops mode is also supported. 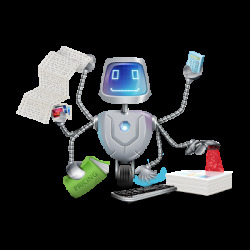 Using both PrestaPricing and it little brother PrestaCategories, you get all the required tools to manage your catalog in an effective and fast manner, in a multi shops context. You can for instance edit multiple products in multiple shops simultaneously, even if the shops do not belong to the same group of shops. The major characteristic of Prestashop 1.5 is the multishop mode. PrestaPricing V5 is supporting this mode and brings advanced mass edit functions to create and modify products, declinations, images, characteristics etc, in multiple shops. This video will train you on the mono and multi-shops edition modes, the multi duplication of products, the associations of images and characteristics to various shops. Probably the most powerfull and flexible addons to export and import products, combinations, categories, images and much more. PrestaPricing also includes a very powerfull and flexible export / import engine (optional). Allows you to create Excel files, with your products and your combinations. Choice of products and combinations, choice of columns and various calculation options when importing. The importation permits to massively create and update new products (including categories if you also own PrestaCategories)) and combinations in the Prestashop database, using lists (xls, xlsx or csv/txt files) provided by suppliers or exported from an older version of Prestashop. Such a tool is a must have when working on drop-shipping and having to update massively and regularly the product catalog. 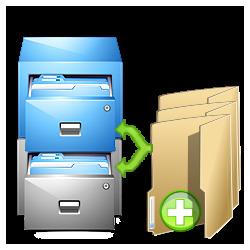 The synchronisation between the file and the database can be done on many parameters (identifiers, names, references, supplier references, bars codes). Supports multi shops and multi languages. Includes a columns mapping tool to create re-usable mapping models per supplier. One of the most important benefit of this importation tool, is its flexibility: It displays the content of the file in the screen, to allow you de select the columns (database fields) and lines (product or variants) to import or not. Warning : This new advanced featured requires that PrestaCategories is also installed and running on the same PC. So this is another good reason to acquire them both as a pack and get benefit of the -15% discount on both. This is the second part of your advanced training on the import. Here will focus on the product's combinations and their photos. This second part is much shorter, as most of the concepts used have already been explained in detail in the previous video. But all specific tips about combinations imports are covered. News : One of the most demanded features was the famous CRON. Here it is now, called "The planificator. This new embedded tool allows the user to plan importation events. These events will execute themselves at any date/time, with any hourly, daily, weekly, monthly recurrency, making the creation and update of products, categories, combinations fully automatic. The tool can even automatically search for the most recent version of data file located on suppliers' servers. Multiple and various events can be planned and monitored. The tool provides detailled succes or failure report for each of them"
Associate photos to combinations, Automatically fill the Alt tag (legends). Define cover images. Create PDF catalogs with photos. You can upload hundreds of new photos with a few clicks and have them automatically associated to the corresponding products.The upload is executed inthe background, so you can continue to create or modify other produts in parallel. No more waste time waiting for images to be transfered. This video tutorial is demonstrating how to include photos in products and combinations tables of PrestaPricing V4.1. It also explains how to edit them (select the image cover, edit the legend, assign photo to combinations, change the order of images. Last, it shows how to select table columns and create customized paper or pdf catalogs. Upload thousands of products and combinations photos and images in the background. Automatic association of a folder of images to products. This video tutorial is demonstrating how to massively upload your Prestashop product images with PrestaPricing V4.1. You will also learn how to assign them to product combinations and to configure PrestaPricing to have the image files automatically assigned to the corresponding products. New tab and table to bulk associate products to suppliers, define supplier specific prices and supplier references. What is different from Prestashop Backoffice ? The backoffice is a web application, therefore much slower than a Windows application. For example, with the backoffice, each single change on a combination, requires the entire page to be uploaded again. It is ok if you have lot of time to loose. Not us. With PrestaPricing, each change is applied instantly, with no wait at all! You can easily navigate from one product to another, swap to another combination, all this on a single click. You can even use the copy-paste between articles. Some of its advanced tools, like the import tool or the combinations generator and modifier, have no possible comparison with the native tools of Prestashop. Everything here is defined to make you save time. I use Excell so far. What are the pro-cons of PrestaPricing ? PrestaPricing main interface works in real time, connected to the database. Your edits in the tables are immediately taken into account. No need to export/import or even to click on a save button. This is optimum for daily maintenance. The native import feature of PrestaShop is very limited. It rapidly crashes above 500 products, while PrestaPricing import can cope with any number of lines (current record is 340 000 products created in one import session, from the same file). Prestashop import is also much slower and risky. With PrestaPricing, you have full control and visibility on what to import and how. No need to have a direct (also called "external") access to the MySQL database. No need to open the server's port 3306. No need to use the SSH protocol (rarely proposed as server option). No need to install any pluggin on the server. The only exception: PrestaBox solution, as Prestashop has blocked the ftp acces on this platform. Purchase this application together with PrestaCategories and other modules and get up to 27% discount on the total amount. PrestaPricing is constanly enriched with new features. Management of orders (not yet decided) : We recommend our mobile solution to manage your orders, shipments and customers relashionship : PrestaOrders. The purchase of the current version is including free download of all coming upgrades during the next six months. Full UTF8 (UNICODE) alphabets support. Not working with previous versions, beta and RC versions. Supports both Prestashop Download and Prestashop Cloud versions (with the exception of the FTP transfer of photos). Requires Microsoft Windows XP, Vista, 7, 8 or 10, 32 or 64 bits. Tested successfully on MAC using Parallels Desktop 8 or later. Tested successfully on Linux using Virtual Box and W8.1 32 bits. The license is valid for one PC and one site only. Multi users (multi PCs) are also available at a cheap price. The 2 PCs licence is currently offered for each new order. If you plan to use the application on multiple sites, you have to purchase a multi sites license. Cheaper than buying multiple licenses, even if our price is highly digressive. When purchased with a multi sites license, the application will allows you to save and retrieve the connection parameters for all your sites. A must have feature. If you are a developer of sites for customers, you must purchase one license for each of their PCs, in case you plan to distribute this application with your products or services. Follow the readme-first.txt file included in the downloaded zip. News (2016/01/29) : Final version 7.0.0.g is available. This is a major release with more than 30 innovative new features like the import and the rounding of the final prices after discounts, the support of PrestaShop hooks, a new interface... See here for more details. I tried storemanager, and got lot of bugs, particularly when trying to import categories and had difficulties to get help. My webmaster mentionned prestapricing as a good alternative and was amazed by what it offers for this price. But more important is the quality of Sitolog support : I had a question during the installation and ask a question on their tchat. Two minutes later they called me back and completed the installation for free. I even got a 10 min personnal 1st hand demo. Thanks for this amazing module, made me save a lot of time! And it works quite well with RTL languages (my site is dual English and Farsi). Export/import function with excel is really handy! I totally recommend this module. How to copy a column in another to improve SEO ? How do I display the prices with correct taxes for your products? What should I do if product pictures are not displayed? How to export product variations? How to set the order of display variations in your product pages? How to select all the rows of a block with a single click? How to quickly populate the legend of product images? How to maximize the working areas thanks to the separators? How do I apply a change to all products without displaying them? How to quickly fill the caption (or Alt tag) of product images? How to lock, detach and anchor the control panel? How do I change the value of a custom character in PrestaPricing?